We began serving the community in 1957 as the Nueces County Committee on Alcoholism. After the Corpus Christi Association of Life Underwriters voted to sponsor us for one year as a civic project in 1958, we changed our name to the Nueces County Council on Alcoholism. We obtained our non-profit status in 1960 and spent that decade providing seminars on alcoholism in conjunction with Del Mar College and the Texas Commission on Alcoholism. 1967 was an especially proud year as we helped to formulate the alcoholism programs at the Corpus Christi Naval Air Station, one of the first in the Navy. ​In 1968, our agency began offering services to the entire Coastal Bend region and subsequently changed our name to Coastal Bend Council on Alcoholism. The Texas Commission on Alcoholism designated us as the Regional Alcoholism Authority in 1971 and we spent the 1970’s and 80’s developing resources, coordinating, training, educating, and evaluating all phases of alcoholism programs in South Texas. After incorporating all types of substance abuse into our mission, we became the Coastal Bend Council on Alcohol and Drug Abuse. ​In 1991, the Texas Commission on Alcohol and Drug Abuse (TCADA) awarded us with funding to expand our youth services and add Project ALPHA, a brand new substance abuse outpatient treatment program for adolescents. Project ALPHA still operates today at our 18th Street location and has treated thousands of youth who have substance abuse issues. That same state commission awarded us funding in 1996 to offer Project ACCESS, a substance abuse outpatient treatment program for adults that continues to change lives today. 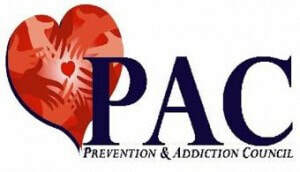 ​TCADA chose our agency to be the first ever Region 11 Prevention Resource Center (PRC) in 1997 and we proudly served those 19 Texas counties with prevention training and evaluation for education until 2008. With approval from the Office of the Secretary of State in 1997, we changed our name (for the very last time) to The Council on Alcohol + Drug Abuse – Coastal Bend. By 1998, our prevention and intervention education programs were sought out by many area school districts including the Corpus Christi Independent School District who asked us to help them identify and implement their first curriculum-based prevention program. We currently have employees who are now teaching the children of the students that they taught all those years ago. ​In an effort to not only reduce substance use among youth but to also strengthen collaboration between community resources and increase citizen participation, we created our Youth Continuum of Care Coalition (YCCC) in 2000. Our Pregnancy/Postpartum Intervention department began in 2004 with state funding and continues to impact the futures of so many new families with the help of March of Dimes. With additional funding from the state, we were later able to add Community Coalition Partnerships (CCP) in 2012 and Tobacco Prevention & Control Coalition (TPCC) in 2013. ​We were chosen by the state’s Health and Human Services Commission to implement a pilot program for adult substance abuse Recovery Support Services (RSS) in 2014. After much success in the area of recovery, we were awarded additional funding to begin RSS for youth in 2016. We opened our Youth Recovery + Engagement Center (YREC) that year because “why wreck your life before it begins?” The first ever “Addicted 2 Recovery 5k” fundraiser was held in 2017 to celebrate and encourage those in recovery while increasing awareness in our community and it will join December’s “Safe & Sober” Luncheon as one of our annual signature events. ​These past 60 years have brought about name changes, logo changes, location changes, and service expansions. We have grown from a one person office to an agency with nearly 50 employees. Board members have come and gone and so have various funding sources. In fact, there has been only one constant- for 60 years we have offered hope + healing to those in need. And we can’t wait for what the next 60 has in store.